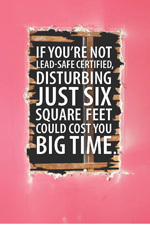 Painting (RRP) regulation - the "lead law"
refer to the EPA's web site. Copyright © 2019 Out of the Woods Construction & Cabinetry, Inc., Waltham, MA. All rights reserved.